I just LOVE this book. 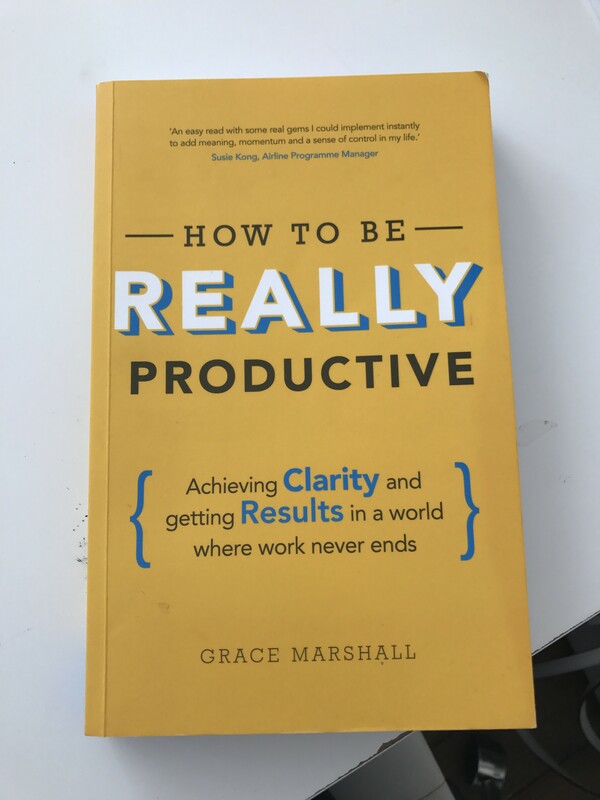 By a lady called Grace Marshall, whom I met through networking, it’s a truly USEFUL book. Sometimes business and personal development books are very thought provoking but don’t always give clarity on how you can put the advice into practice – this book does exactly that! The chapters are broken down clearly and at the end of each one there is an OVER TO YOU section – no excuses to take action straight away. It really helps with mindset and control the busyness of business! Thoroughly recommend!